SKF announced they have signed an agreement to acquire German-based ship components provider Blohm + Voss Industries (BVI) from Star Capital Partners. SKF will pay 80 MEUR for 100% of the equity of BVI and assumes net loans/cash of 18 MEUR. The transaction is subject to relevant regulatory approvals. The acquisition is in line with SKF’s strategy to further position itself as the preferred application development partner offering a full asset life cycle management approach for marine solutions. Blohm + Voss Industries is a leading manufacturer of, and service provider for, premium quality equipment for critical marine applications, including shaft components (seals and bearings), stabilizers, and oily water separators. The company has around 400 employees and originates from the Blohm + Voss shipyard, which was founded in 1877. Sales for 2011/2012 were around 100 MEUR with an operating margin in line with the SKF Group. “We are excited to have Blohm + Voss Industries become part of the SKF Group. The synergies between the SKF and BVI marine portfolio will support SKF to be an even stronger partner for critical shaft components to the marine industry and marine specific applications for both OEM and end users,” says Tom Johnstone, SKF President and CEO. “We are very positive about joining the SKF Group. The combination of our technologies, strategies, and organisations will be a good basis to make SKF an even stronger supplier to the marine industry,” says Martin Johannsmann, CEO Blohm + Voss Industries. 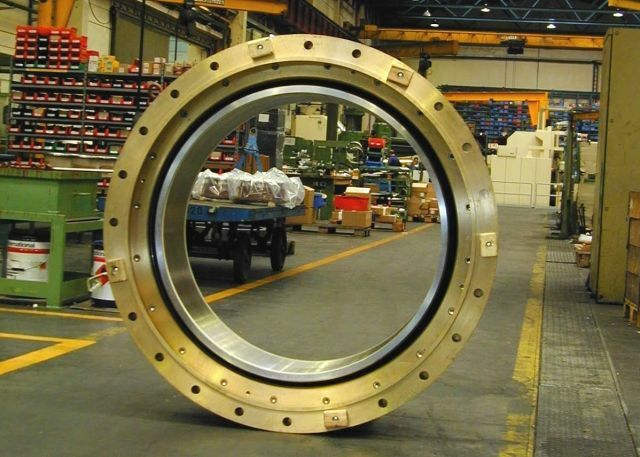 • Establishes SKF as a leading supplier of marine sealing arrangements, and hydrodynamic bearings, which is a significant bearing type in the marine industry.